For most fires, water represents the ideal extinguishing agent. Fire sprinklers utilise water by direct application onto flames and heat, which causes cooling of the combustion process and prevents ignition of adjacent combustibles. They are most effective during the fire's initial flame growth stage, while the fire is relatively easy to control. A properly selected sprinkler will detect the fire's heat, initiate alarm, and begin suppression within moments of flames appearing. In most instances sprinklers will control fire advancement within a few minutes of their activation, which will in turn result in significantly less damage than otherwise would happen without sprinklers. Pre-action sprinkler systems are specialised for use in locations where accidental activation is undesired, such as in museums with rare art works, manuscripts, or books or for data centres to protect computer equipment, telecommunications facilities, coolers and freezers from accidental water discharge. Pre-action systems are hybrids of wet, dry, and deluge systems, depending on the exact system goal. There are two main sub-types of pre-action systems: single interlock and double interlock. A deluge system is a fixed fire protection system in which the pipe system is empty until the deluge valve activates to distribute pressurised water from open nozzles or sprinklers. All sprinklers connected to the water piping system are open, in that the heat sensing operating element is removed, or specifically designed as such. These systems are used for special hazards where rapid fire spread is a concern, as they provide a simultaneous application of water over the entire hazard. Water is not present in the piping until the system operates. Because the sprinkler orifices are open, the piping is at atmospheric pressure, to prevent the water supply pressure from forcing water into the piping. Deluge systems are more complex than wet pipe and dry systems because they contain more components and equipment. A foam-water system is a special system of pipes connected to a source of foam concentrate and to a water supply. The system uses appropriate discharge devices to control and extinguish fires which require a smothering and cooling agent. The piping system is connected to the water supply through a control valve that is activated by the operation of automatic detection equipment that is installed in the same areas as the sprinklers. Foam-water systems are designed to distribute a foam-water solution to a specific hazard area for fire protection. Standpipe systems are a series of pipes that connect a water supply to hose connections, basically an extension of the fire hydrant system. They are designed to provide a pre-piped water system for building occupants or the fire department. Standpipe systems are designed to provide fire protection water for hose lines in strategically placed locations inside a building or structure. Some older buildings only have standpipe systems while many newer buildings will have a combination system, which supplies the fire sprinkler system and the standpipe system. They are most common in large floor area buildings, where most of the facility may be some distance from an outside entrance, and in multi-storey buildings to prevent long lengths of hose in stairwells and on the ground. A standpipe system is a fire safety system which should be designed to provide rapid access to water in the event that a fire breaks out. A standpipe system is used in high rise buildings, large commercial, retail, and industrial buildings, places of public assembly, tunnels, heliports and boat yards. A fire extinguisher is an active fire protection device used to extinguish or control small fires, often in emergency situations. It is not intended for use on an out-of-control fire, such as one which has reached the ceiling, endangers the user (i.e., no escape route, smoke, explosion hazard) or otherwise requires the expertise of a fire department. Typically, a fire extinguisher consists of a hand-held cylindrical pressure vessel containing an agent which can be discharged to extinguish a fire. Fire extinguishers manufactured with non-cylindrical pressure vessels also exist, but are less common. 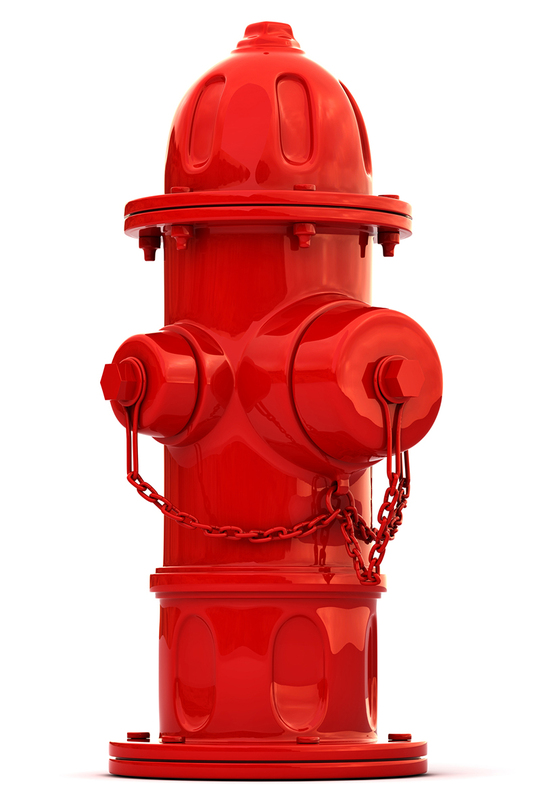 A fire hydrant system is required for every building, industrial plant, commercial or residential area. At least one fire hydrant must be located not more than 30 metres from the nearest point of fire brigade access. A fire hydrant is source of water which is provided in the most urban, suburban and rural areas with public water services to enable fire fighters to tap into the water supply easily. The fire hydrant system consists of pipe works connected directly to the water supply to provide water to all the surrounding hydrant outlets. To use the fire hydrant, fire-fighters would only need to attach a hose to the hydrant and open a valve located on it. Normally, the hose is attached to the fire engine which has a booster pump to enable an increment in water pressure. The fire hydrant system distribution is from the water storage tank, with an adequate water capacity to meet with local fire authority requirements. Fire pumps are required in order to provide adequate supply of water to each riser at all times. All the pumps are connected in parallel, with their suctions permanently wet when the tank is filled. There are three main pumps known as the Jockey Pump, Duty Pump and Standby Pump. The Jockey Pump is an apparatus that works alongside a fire pump as a part of the fire protection system. It functions to maintain the pressure in the sprinkler piping system. It also assists in the prevention of drainage when a fire breaks out and water starts rushing into the pipes. Types of pumps used for fire service include: horizontal split case, vertical split case, vertical turbine and end suction. Water mist systems are used for special applications where creating a heat absorbent vapour is the primary objective. This type of system is typically used where water damage may be a concern, or where water supplies are limited. NFPA 750 defines water mist as a water spray with a droplet size of "less than 1000 microns at the minimum operation pressure of the discharge nozzle." The droplet size can be controlled by the adjusting discharge pressure through a nozzle of a fixed orifice size. By creating a mist, an equal volume of water will create a larger total surface area exposed to the fire. The larger total surface area better facilitates the transfer of heat, thus allowing more water droplets to turn to steam more quickly. A water mist, which absorbs more heat than water per unit time, due to exposed surface area, will more effectively cool the room, thus reducing the temperature of the flame. The focus of fire protection has always been to limit the damage a fire can cause. Originally, the goal was to confine fire to a city block. Today's conventional water systems can confine a fire to a building, a floor and even to the point of containing a fire within a single room. Water was, and still is, the primary tool to control structural fires. However, with today's technical sophistication, containing a fire to a single area is not always enough. Critical facilities require an even higher level of fire protection. A small fire, even one contained to one area or controlled by a conventional sprinkler system can cause problems in a critical operation. Most sprinkler systems activate when temperatures reach a pre-set level, often after a fire is established and equipment damage may have begun. Water based agents are electrically conductive and cause current flow which can damage sensitive equipment. Even with the power off, water discharges often cause equipment problems. Abrupt electrical shutdowns are hard on both equipment and operations; and the clean-up process, mopping up and drying out equipment, is often tedious. Clean agent systems work on class A, B, and C fires and react quickly to extinguish a fire at its earliest stages. Using early detection and rapid extinguishment, clean agent systems eliminate the fire, reduce the damage to equipment, and increase the safety of people in the fire area. Clean agents extinguish fires as a gas, which gives them the ability to permeate into cabinets and obstructed areas. It also makes them uniquely suited to protect the electronics hidden inside a piece of equipment, a likely place for a fire to start. By thoroughly flooding the area with a gaseous fire fighting agent, even obscured or hard to reach fires are quickly extinguished, usually long before they can be seen. After extinguishment, the agent is readily ventilated from the room along with any by-products of the fire. Novec 1230, FM-200, IG 100, IG 541, IG 55 and IG 01 are the preferred clean agent fire suppression systems of Approved Protection Systems. Inert gases are naturally occurring gasses. We are surrounded by inert gasses. The air we breathe is filled will them. These are not man made or fossil gasses. With current green trends, inert gasses have become a good choice as they are the most green of all of the clean agents. Inert gasses are the defined as using one or more of the gasses nitrogen and Argon. Co2 is also found in one of the inert gas blends. Inert gasses work by removing the oxygen in the hazard to a point where it will not support a fire, but still high enough to support life. Design considerations when using inert gasses are pressure venting and volume. It is critical to design the system to achieve the correct concentration and remove too much oxygen in the room. Plus, venting of inert gasses is important as it displaces the air volume in the hazard area.